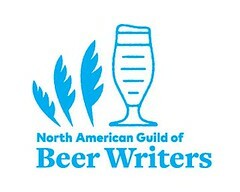 Annual figures for sales and production for the US small brewery industry will be released by the Brewers Association during its Craft Brewers Conference, scheduled for 23-26 March 2011 in San Francisco, California. In the meantime, look at these figures from Caroline Levy —beverage analyst for CLSA— as reported by Beer Marketer's Insights. The volume of craft beer sold will increase by 8% per year over the next 3 years. That's —conservatively— a total growth of more than 2.4 million barrels by 2013. Levy sees this growth partially as a result of several demographic factors. 90% of Americans now live within 50 miles of a craft brewery. Over 25% of 21-24 year olds show an interest in beer with 'flavor,' versus less than 10% for consumers 25-30 years older. [Hmmmph!] At the same time, while just 6-7% of adults regularly drink craft beer, almost 60% express an interest in them. The number of drinkers aged 21-39 [the demographic segment most likely to purchase beer] will grow by 7.8% by 2020 to over 90 million, nearly tripling from a 2.7% increase from 2000-2010. Based upon these trends, the ranks of core craft beer drinkers could swell by 40-50% by 2020, to about 29 million (12% of the drinking-age population). Contrast that with the trend in the mainstream beer business. In 2010, total beer sales —of which conglomerate beer sales, by volume, accounted for 94%— were down 1.9%, even though income was up as prices were increased. The distinction between sales by volume and sales by dollars is significant. By the former metric, craft beer accounted for 4.3% of total beer sales; by the latter, its share was 6.9%. Savvy restaurateurs and store owners realize that they can make more money selling craft beer, bottle by bottle, than mainstream beer. Imagine the prospects for craft brewers if they can broaden appeal among Hispanics and women, neither of which are a huge part of the craft beer consumer base. Beer Marketer's Insights releases its full 2011 report in June. 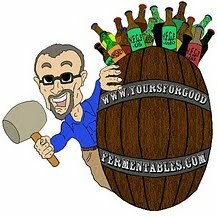 More from the Brewers Association: here. Sounds like good news for the forseeable future! I must be reading this wrong. Are either you or BMI saying that craft beer's volume sales will grow 2.4 million barrels per year for the next three years or that it will grow 2.4 million barrels over the next three years? Depending upon how "craft beer" is defined here, that seems like a lot, especially when the BA puts present production at around 9 mil bbl. Thanks for catching that, Andy. The correct figure would be a TOTAL of 2.4 million barrels OVER the next three years. Corrected. And, as you point out, the definition of craft beer is itself problematic. BMI's definition is less exclusive than BA's.